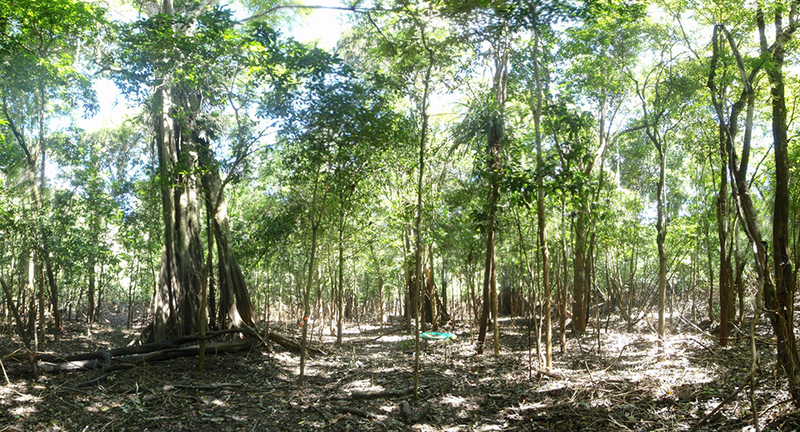 Few studies have successfully monitored community-wide phenological patterns in seasonally flooded Amazonian várzea forests, where a prolonged annual flood pulse arguably generates the greatest degree of seasonality of any low-latitude ecosystem on Earth. 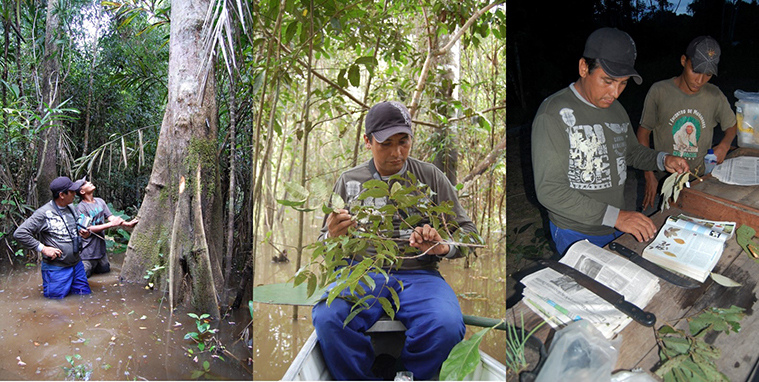 We monitored the vegetative and reproductive plant phenology of várzea (VZ) floodplain and adjacent terra firme (TF) forests within two contiguous protected areas in western Brazilian Amazonia, using three complementary methods: monthly canopy observations of 1056 individuals (TF: 556, VZ: 500), twice monthly collections from 0.5-m2 litterfall traps within two 100-ha plots (1 TF, 1 VZ; 96 traps per plot), and monthly ground surveys of residual fruit-fall along transect-grids within each 100-ha plot (12 km per plot). Surveys encompassed the entire annual flood cycle and employed a floating trap design to cope with fluctuating water levels. Phenology patterns were generally similar in both forest types. Leaffall peaked during the aquatic phase in várzea forest and the dry season in terra firme. Flowering typically followed leaffall and leaf flush, extending into the onset of the terrestrial phase and rainy season in várzea and terra firme, respectively. Abiotic seed dispersal modes were relatively more prevalent in várzea than terra firme; the main contrast in fruiting seasonality was more likely a result of differences in community composition and relative abundance of seed dispersal modes than differences within individual genera. We emphasize the difficulty in distinguishing the role of the flood pulse from other seasonal environmental variables without multiannual data or spatially replicated studies across the spectrum of Amazonian forest types.